Low working table to ease loading ofheavy materials. Two ways miter cutting (60°-0°-60°). Electronic controller very easy to use with digital display touchscreen giving detailed information on piece-counting, working times, machine status, alarm and selfdiagnosis. Castiron sawframe on twin tapered bearings and ring nut to provide greater stability. Precision blade-guide with hard metal pads, bearings and anticorrosion treatement. Automatic quick blade approach to the material. New multi-function controller “DIGIT” touch screen with icon keys. 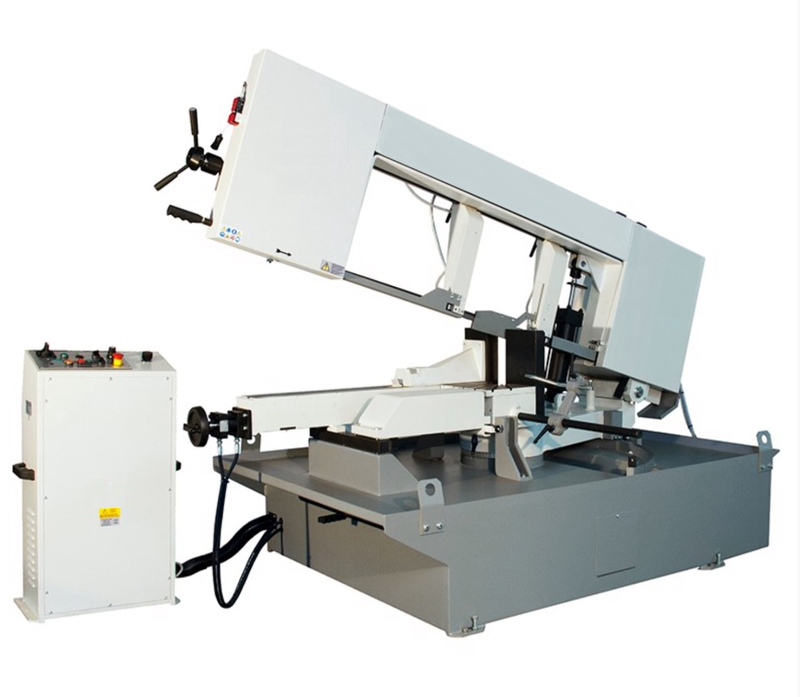 Control over each functional part of the saw with possibility of full personalization of parameters as for example programmable piececounter, different start mode and blade speed control. Including accurate self diagnosis. Vice and sawframe in cast-iron providing high stability and vibration free cutting. 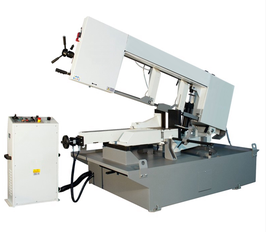 Side-to-side mobile vice with quick pawl and rack approach system. Mechanical blade tension with handwheel. Precision blade-guide with hard metal pads and roller bearings. Anti-corrosion treatement with electrolytic nickel-plating and galvanization zinc plating ensure long lasting cutting precision. Electric motor and reduction unit from domestic ISO certificated manufacturers. Electric installation according CEE regulations. Set of fuses against current overload. Motor protected thermal feeler. Safety microswitch on the blade protection. Coolant liquid with electropump and crucible. Severe tests on mechanical tolerances, electric installation and final performance test.